I love the tart taste of pickled vegetables, so I found myself drawn to experiment with the creation process. Pickled veggies offer two key benefits. 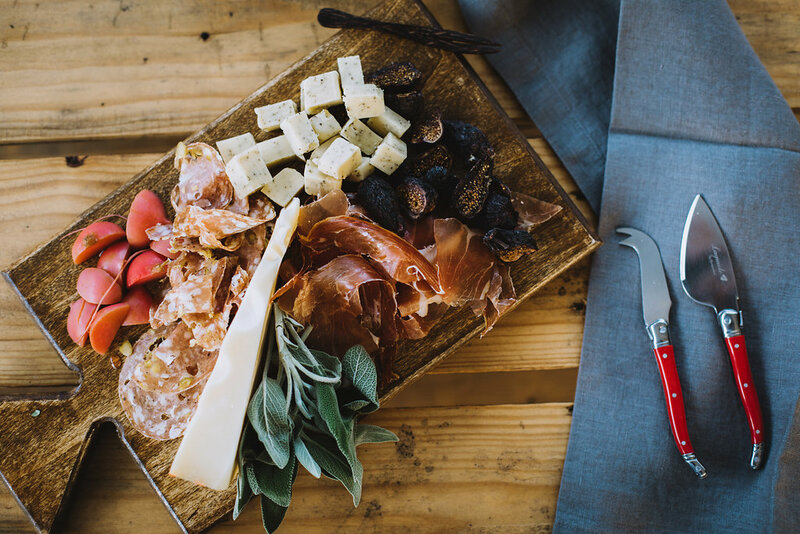 They present beautifully on a charcuterie board and have a tangy kick that just doesn’t get old. There are lots of recipes out there, but my favourite comes from the Hello, My Name is Tasty Cookbook. He uses a recipe that makes 6 cups of brine for 2 quarts pickled vegetables, I cut the recipe in half. Blanch veggies. Bring the water, salt, lemon peels and red pepper flakes to a rolling boil. Add veggies and return to a boil. Cook them until they are cooked, but still crisp. The Italian in me calls it, veggie al dente. The hot brine will cook them a bit more and no one likes limpy pickled veggies. Drain the veggies and arrange them on a single layer baking sheet to cool them to room temp. (I put mine on a baking sheet lined with these). Tip! Blanched veggies are great as a side dish in lunches. Talk about gourmet meal prep. Transfer cooked veggies to a heatproof container (beautiful and functional option), filling the jars until all veggies are nestled in nicely but not squished. Make the brine in a medium (never aluminium) pot with vinegar, water, sugar, cloves, and cinnamon over high heat. Stir with a wooden spoon and cook until sugar is completely dissolved. Pour the hot brine evenly into the jars to cover the vegetables. Allow pickles to cool to room temp, close the lids tightly, and then refrigerate. After 6 hours, voila! Pickles are ready for snacking! The cookbook says they keep one week, but if you don’t eat pickled veggies every day, I’ve found their taste holds strong for at least a few weeks.